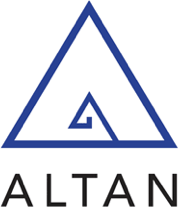 Altan is a specialty pharmaceutical company developing, manufacturing and commercialising injectable drugs for the hospital and other provider segments. Altan is focused on building its pipeline of injectable drugs and expanding its commercial presence to new markets. More recently Altan is specifically targeting the US intravenous paracetamol market, having had a New Drug Application filing accepted for review by the US FDA. 3D4Medical is a technology commercial company developing award-winning medical and fitness software that is used daily by education and clinical organisations around the globe. It is transforming medical learning and practice and is leading the way in the production of ground-breaking 3D medical technology applications and platforms. Xenex is a commercial-stage medical device company focused on reducing healthcare-associated infections with its unique non-mercury, full-spectrum disinfection LightStrikeTM Germ-ZappingTM robots. Xenex aims to become the new standard of care for disinfection in healthcare facilities worldwide, eliminating harmful bacteria, viruses and fungi which can cause healthcare associated infections in patients and staff. 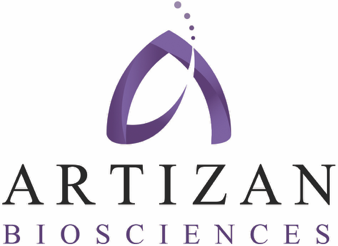 Artizan is an early-stage biotechnology company focused on developing a platform to eliminate disease-causing bacteria in the gut microbiota. Artizan's initial focus is on inflammatory bowel disease, specifically Crohn's Disease and Ulcerative Colitis. Wren is a spin-off company from the University of Cambridge (UK) and Lund University (Sweden) focused on drug discovery and development for protein misfolding diseases including Alzheimer's and Parkinson's. Wren’s proprietary approach is based on more than a decade of research focused on the chemical kinetics of the protein misfolding process. Wren is developing a broad pipeline of small molecule and antibody therapeutics, as well as diagnostics, spanning neurology, ophthalmology and metabolic diseases. Melinta is a commercial-stage antibiotics company with four marketed products including BaxdelaTM and VabomereTM. Melinta acquired The Medicines Company's infectious disease business in 2018 and carries an extensive pipeline of preclinical and clinical-stage products targeted at different segments of the anti-infective market. Novan is a clinical-stage biotechnology company focused on leveraging nitric oxide's natural antiviral and immunomodulatory mechanisms of action to treat dermatological and oncovirus-medicated diseases. The two key components of Novan's nitric oxide platform are its proprietary NitricilTM technology, which drives the creation of new chemical entities, and its topical formulation science, both of which are used to modulate product candidate for specific indications.